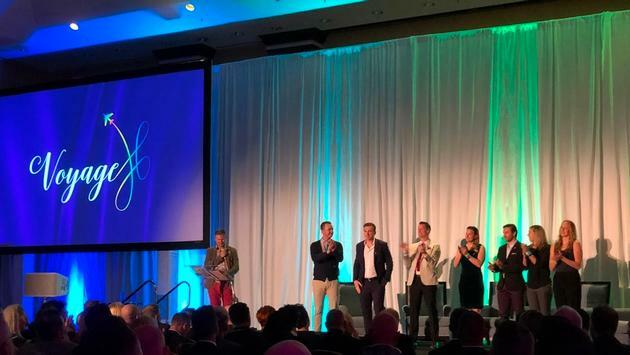 The International LGBTQ+ Travel Association (IGLTA) is following up its wildly successful 2018 Annual Global Convention in Toronto with a brilliant location about 350 miles to the southeast, in New York City. The event is planned for April 24-27 at the New York Hilton. This is turning out to be a landmark queer year for New York, which is also hosting World Pride in June and celebrating the 50th anniversary of Stonewall. The Annual Global Convention, now in its 36th year, is a worldwide educational and networking event for LGBTQ tourism professionals. The convention will connect gay, lesbian and gay-friendly travel and tourism suppliers and buyers through its hosted buyer and scheduled appointment program, numerous educational workshops and networking receptions. Past conventions have been held in cities as diverse as Cape Town, Madrid, and St. Petersburg, Florida. "We're always proud of the networking and educational opportunities that our convention creates, but this year will be even more impactful because we're in New York City in the 50th anniversary year of Stonewall," said IGLTA President/CEO John Tanzella. "We encourage convention participants to celebrate our LGBTQ+ history as they make strong connections for businesses growth and learn about the best practices that will lead our industry to a more inclusive future." The host hotel, the Hilton, is offering a room block at $289/night for rooms booked by April 4th. Attendees will also receive free WiFi in their rooms. An exciting part of the convention will be the 2019 IGLTA Honors, presented with support from Visit Philadelphia. The Hanns Ebensten Hall of Fame Award this year is going to George Neary, who was the Associate VP of Cultural Tourism for the Greater Miami Convention & Visitors Bureau from 1998 to 2018, where he was in charge of the creation and implementation of a new arts and cultural program for Miami-Dade County. Neary serves on the Miami Beach Pride Committee, is a consultant to the Mayor's LGBT Business Enhancement Committee, holds membership in the Black Archives, is a founding board member of the Greater Miami Gay & Lesbian Chamber of Commerce and is an Advisor from Florida to The National Trust for Historic preservation in Washington, D.C.
Other planned award recipients are Fabrice Houdart for the Pioneer Award and the ITB LGBT+ Travel Pavilion for the Vanguard Award. An exciting event this year is the launch of the IGLTA Leadership Think Tank. This will unite top executives from LGBTQ+ welcoming destinations around the globe at Google during the convention. The invitation-only discussion will focus on responsible tourism through the lens of LGBTQ+ welcoming travel and is presented with support from Miles Partnership and Google. The Leadership Think Tank will include leaders from Destination Canada, Los Angeles Tourism & Convention Board, Cape Town Tourism, Destination DC, Italy National Tourist Board, Visit Dallas, Destination Niagara USA, Bermuda Tourism Authority, Discover Puerto Rico, Embratur (Brazil), Visit California, Milano Smart City Association, Greater Boston CVB, Destinations International, Tourism Madrid, Guam Visitors Bureau, U.S. Travel Association, Greater Fort Lauderdale CVB, Barcelona Tourism, Visit Salt Lake City, Thailand Tourism, and Greater Miami CVB.